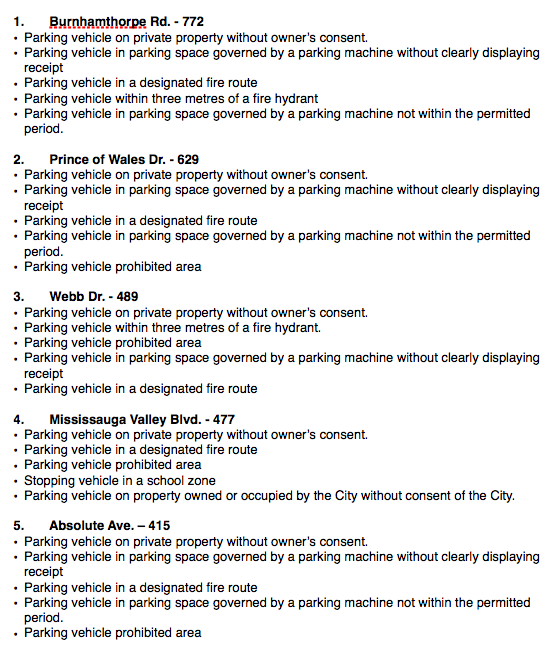 Did your street make the top 10 list of parking complaints in Mississauga? 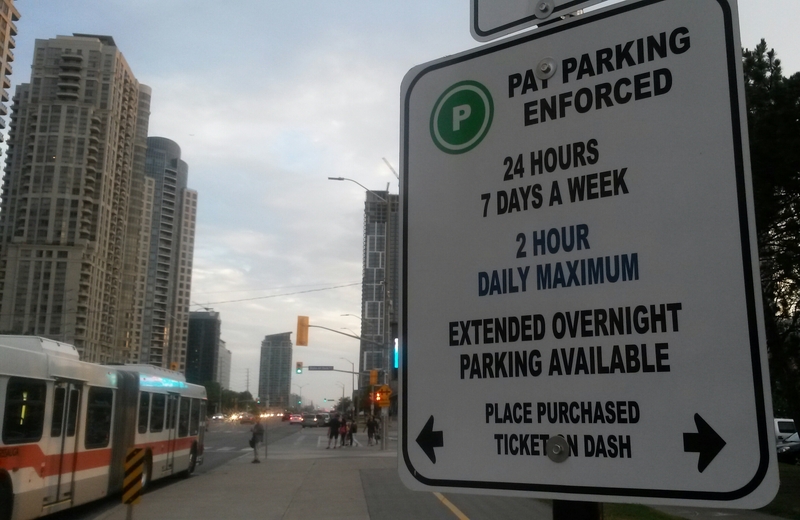 Burnhamthorpe Road is taking the top spot as the most complained-about street in Mississauga for parking in 2015. That’s when 772 residential and commercial grievances were filed with the city. 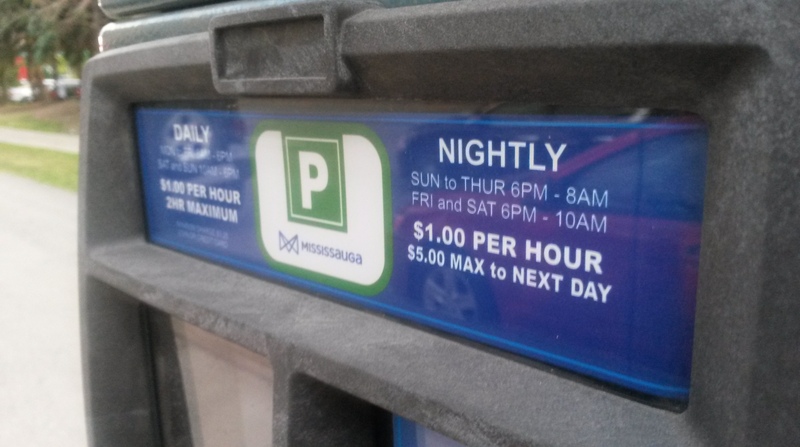 The City of Mississauga banked $6.8 million from parking fines in 2015 — a $1 million increase versus 2014. 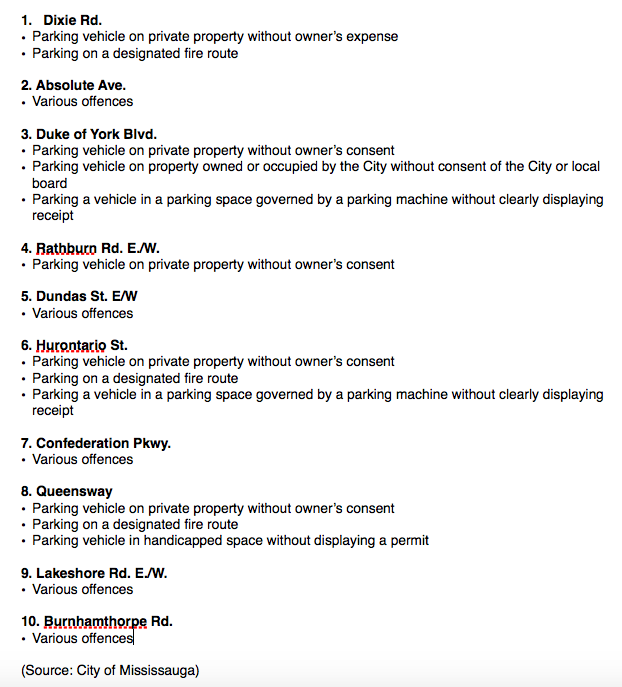 The QEW South Post asked the city for a top 10 list of parking complaints. Information was provided, however, city staff declined to be interviewed. An average of 20,445 parking complaints have been lodged annually over the past two years. In terms of geography, Ward 4 dominated the complaint list in 2015. Prince of Wales Dr. ranked second overall, followed by Webb Dr., Mississauga Valley Blvd., Absolute Ave., Hurontario St., Duke of York Blvd., Rathburn Rd., Bloor St., and Kariya Dr.
Coun. John Kovac wasn’t available for an interview Thursday and his staff wouldn’t confirm if he would be free to comment Friday. Streetsville resident Kavi Kumar was talking, though, and says she’s not surprised by the number of gripes near Square One. 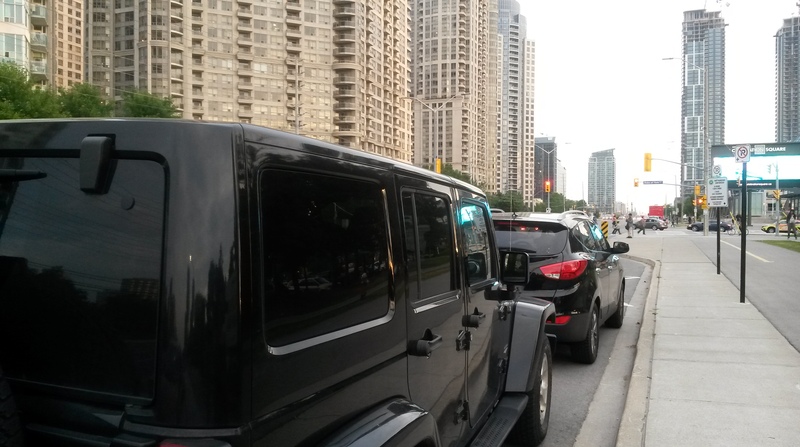 “It’s very busy,” she said while feeding the meter along Burnhamthorpe Rd. near Duke of York Blvd. Chirag Amin says he lives close to the mall. “I can understand why people have an issue,” Amin said, waiting for his kids in a minivan outside of the Central Library. He says he does his best to avoid parking issues altogether by walking to Celebration Square and the surrounding area, even during winter. 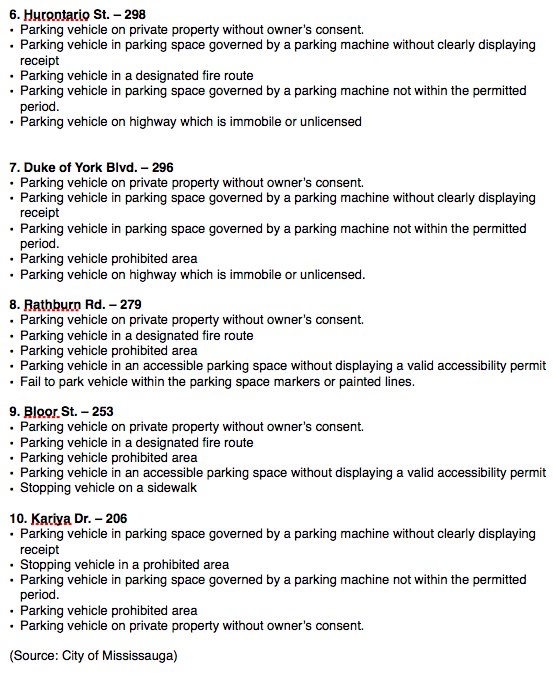 Parking issues are filed by phone, e-mail and via the city’s website. Dixie Rd. edged out Absolute Ave. with the most complaints in 2014. You do realize that meter is the spelling for the ticket-issuing machine. Metre or meter is the length of measurement.